I'm well aware of the fact that there are a lot of people who hate oats. 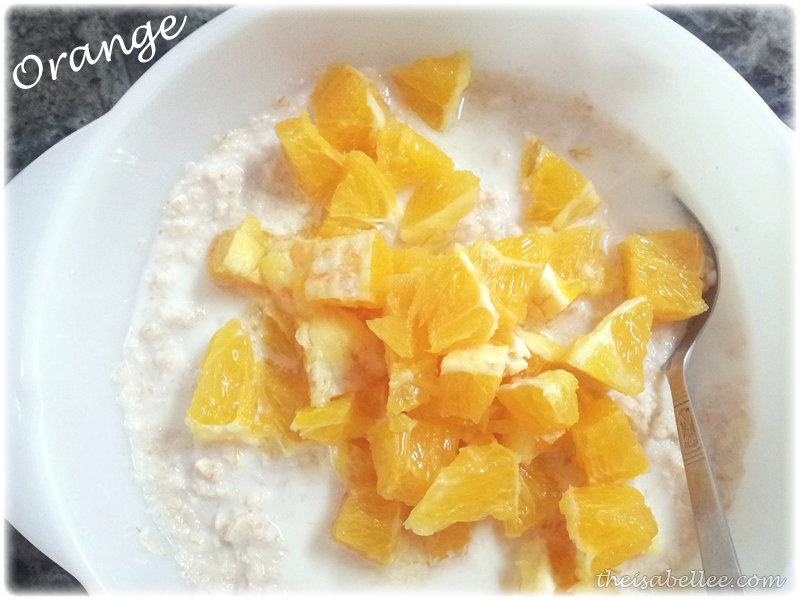 I decided that today's blog post will be dedicated to changing your perception on oats, just with the use of fruits! One of the reasons people don't like oats is because it's so mushy and gross. 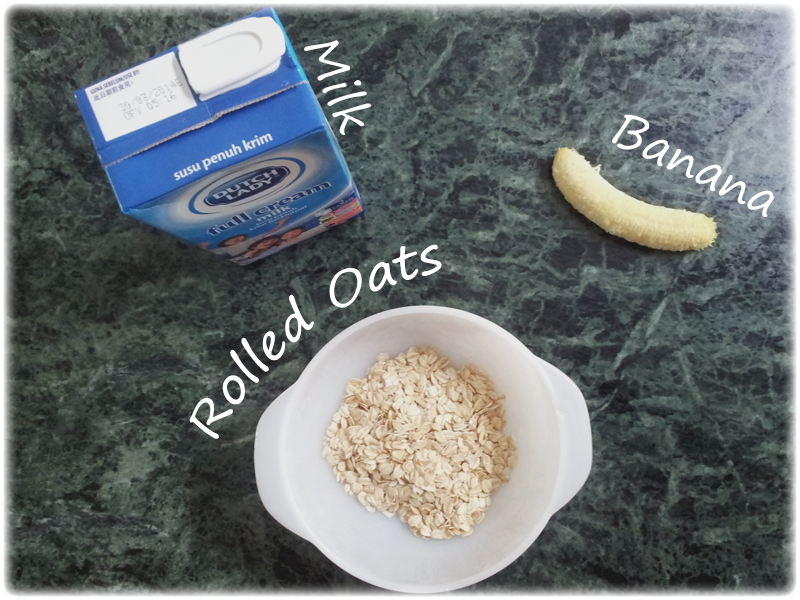 Try rolled oats then! It doesn't turn mushy and I enjoy chewing it. Simply pour some into a bowl, add hot water and cover for about 5 minutes. You don't even have to cook it =D A bag that lasts me about 3 weeks costs around RM 10. I know I know.. Plain oats tastes blergh but adding artificial sugar just defeats the purpose of your healthy breakfast. Try fruits for a change. They taste so much better and you can use a different combination everyday to keep it fun. My absolute favourite combination! 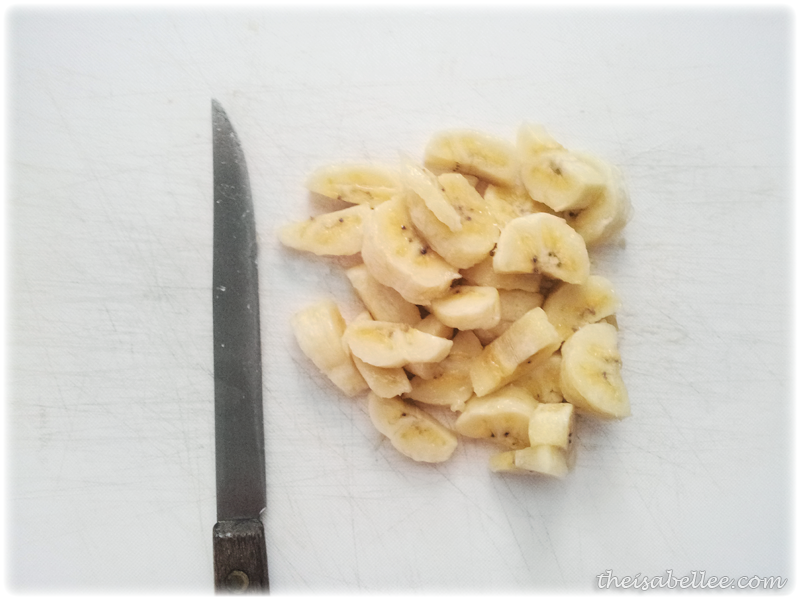 Cut up 2 bananas and scatter them all over your oats. 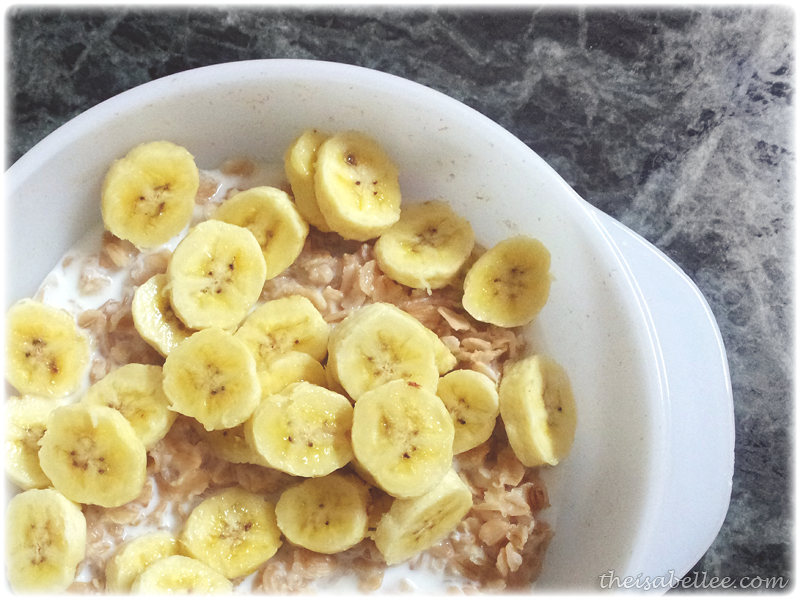 Bananas make the oat taste amazing. I also add some milk to all my oats. 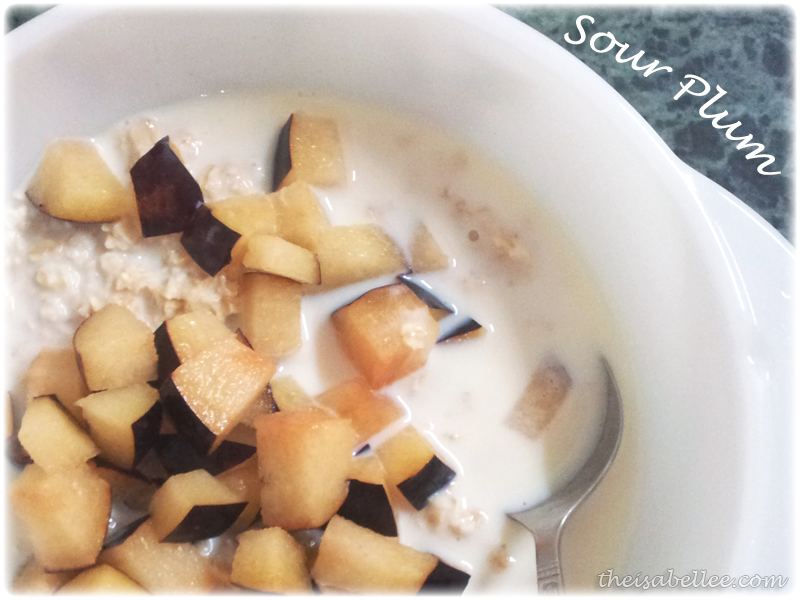 Add some crunchiness to your oats with harder fruits like sour plums, apples and pears. 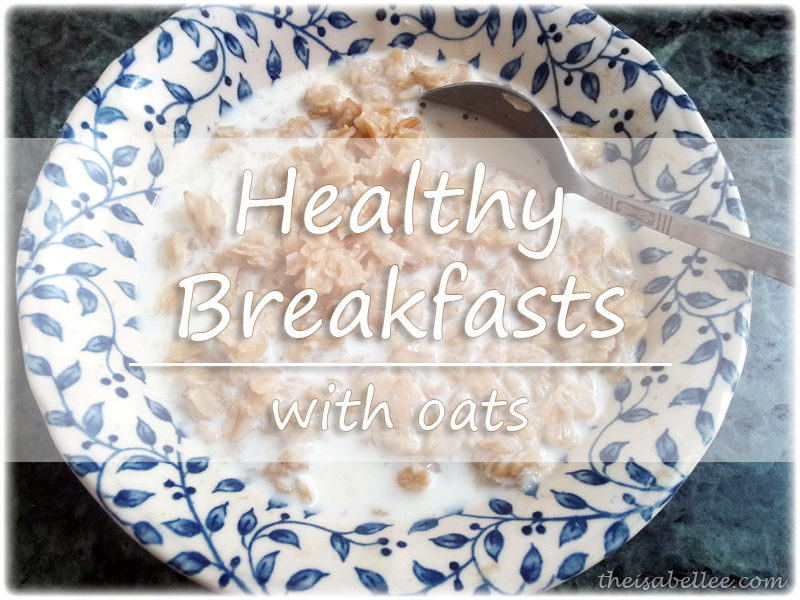 The harder texture feels more like real food and is easier to swallow if you hate mushy oats. Actually these are more like preserved, sweetened ones which I do not recommend. 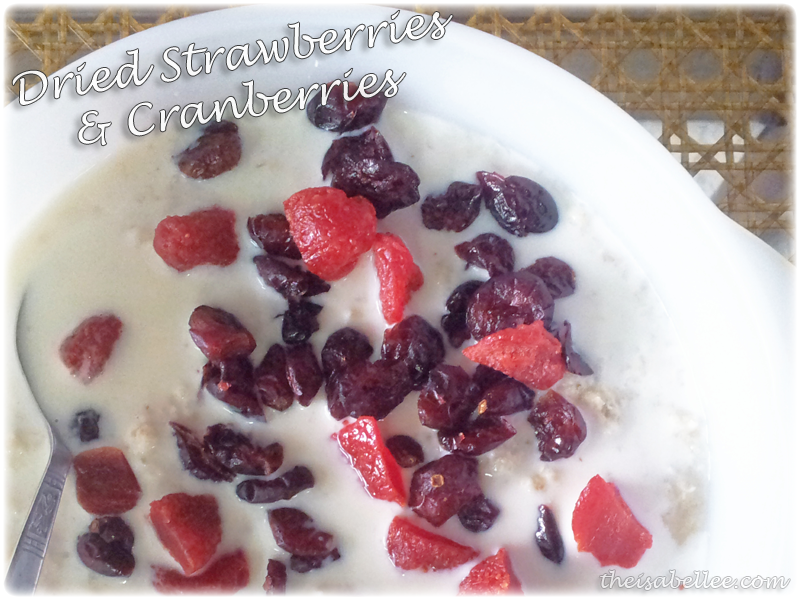 Wayy too sweet =( But if you find some without so much sugar, berries are a great companion for oats. Drisco brand strawberries are the best so far as they're not so sour. I only made this because my fridge was full of oranges. Honestly, it doesn't taste as good as I prefer my oats to be sweeter compared to sourish. Oh.. and I also ran out of rolled oats so it's back to instant oats here. Meh..